After all the dire predictions that this winter would be the coldest winter in half-a-century (and other similarly doom-laden statements), the incredible mildness of the autumn months had lured me into a bit of a false sense of security. So it was a bit of a shock to look out of the window on Saturday morning and discover it was actually snowing. Quite heavily. And it is still only November. I quickly grabbed Tom, and woke up Mr Techno, excitedly pointing out at the falling whiteness. Unfortunately the snow fall was relatively short, and none of it settled, but Tom was fascinated to see it. Though the snow was brief, the cold was not, and we experienced our first properly cold day of this winter so far. After a morning of reading stories under blankets, we’d had enough of being indoors. Luckily the day had become one of those lovely clear days you get sometimes when it’s cold. I felt like a bit of a change from our usual haunts, so we headed into Walthamstow to visit Lloyd Park. I love Lloyd Park. It’s a bit of a way from us, so we don’t get there that often, but it’s a really pretty park and, best of all, is home to the William Morris Gallery. The Gallery is housed in the childhood home of William Morris, one of Walthamstow’s most famous former residents. Most people know of the Victorian designer for his pivotal role in the Arts and Crafts movement, or his signature nature-inspired wallpaper patterns, but Morris was also a fervent socialist and a campaigner against the harmful ‘restoration’ of old buildings. In fact, in 1877 he was one of the co-founders of the Society for the Protection of Ancient Buildings, the organisation I now work for. As you can imagine, I have been round the Gallery a few times. I haven’t taken Tom as yet – though the Gallery is very family friendly and has some great exhibits for kids, they are better suited to slightly older toddlers (I’d say three and up). We gave it a miss on Saturday as well, preferring instead to explore the gardens and park. It is really well equipped – play areas, basketball and tennis courts, a skate park, bowling greens, and open spaces. There is also a Children’s Centre, and, most importantly for trips with kids, two cafes – one in the Gallery and a more, ahem, affordable (read dirt cheap) one by the play area. Tom, however, was interested in one thing only. The park has a moat, which is home to several species of ducks, Canadian Geese, and moorhens. Tom was in love. There was no hope of dragging him away from his new feathered friends, so I resigned myself to missing out on the playground. It’s just a shame I hadn’t thought to bring any bread with us. Despite the cold, we had a lovely afternoon in the park and were thrilled to see so many families doing the same. Plus Tom actually wore his hat and mittens for once, so we’ve finally justified buying them! 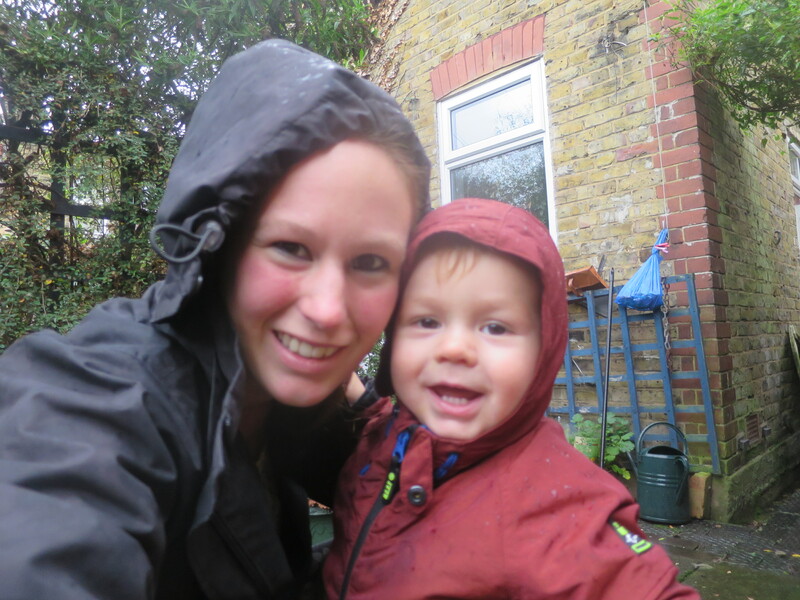 Posted on November 24, 2015 December 18, 2015 by LucyPosted in Outdoors, Trips, Visits, Parks and PlacesTagged East London, feeding the ducks, Lloyd Park, snow, The SPAB, toddler, William Morris, William Morris Gallery, winter. Always good to get out, even in the cold. You can’t beat a bit of fun with the ducks. I dont know if it reallt counts, since it didnt stay but it was exciting anyway! Lloyd park looks like the perfect place for you to go and spend an afternoon after being cooped up all morning. Tom looks like he really did fall in love with his feathered friends, they all seem pretty interested in Tom too, although I’m sure that only lasted long enough for them to realise he didn’t have any food. It’s a shame your snow didn’t settle although I’m not too disappointed for you.. we very rarely get snow down here in Cornwall! Thanks for linking up with me on Country Kids. Snow in the city is a bit more of a hindrance than a help, so I’m not too sad it didn’t stay. Thank you for hosting! Sounds like there will be more snow later in the year, so I am sure your girls will get a chance to have a proper play! Aww, lucky to have had a little snow already! We’ve only had snow on the hills and ice and frost here. Very chilly though, definitely need the hats and gloves on. My littlest would be the same with ducks and swans, he adores birds! Typical huh? We found the mittens, but dont let the pictures fool you, he only wore them for about 5 mins at a time!